Three weeks after the race and I finally got back out on the water today. I didn’t have my boat until last weekend but I’d decided to rest my wrist until today. Put in at Redwood City marina; a beautiful day. Supposed to be pretty hot; Indian summer and it’s almost Oct. I launched about 10 AM. No wind; the water was like glass. This is out in the bay. I’d planned on 4-5 miles. I had to force myself to turn around; as it was I did about 6 miles. It felt so great to be back in my boat. Now I’m thinking I’ll do some reconnaissance next Sat. at Lake Sonoma. They have some boat-in campsites I’m really itching to do. Maybe I’ll go up really early Sat., check things out, do some paddling and return home in the evening. Finally got my kayak home yesterday from Wayne. He and his partner took a circuitous route home from the race in Texas. I heard tell they got home to California via Utah. (-: Anyways, not much I can do even with my boat at home; wrist is still too sore. Unfortunately I’m required to use my hands a lot at work which precipitated increased soreness at the end of every day. It’s getting less and less though. 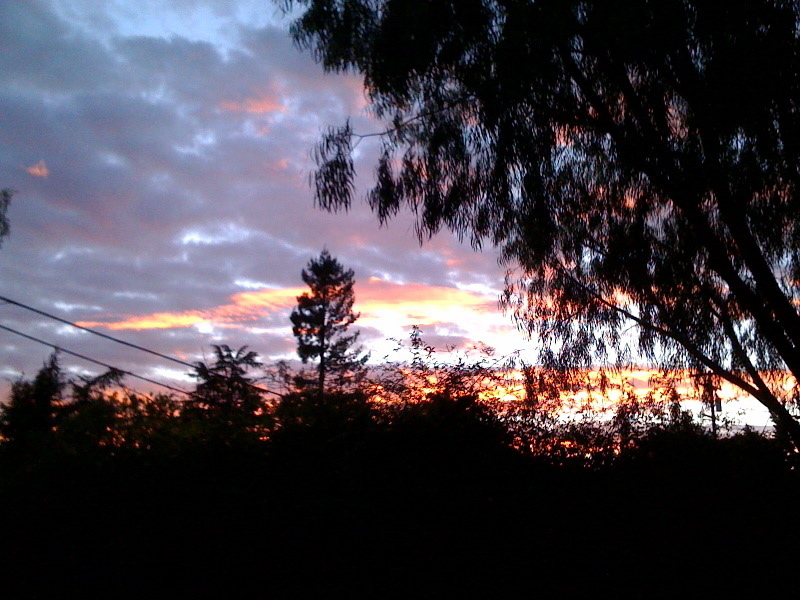 I was up early today; we’re supposed to have our first day of rain. Smelled like rain. Sure wish I was floating atop my boat under these pretty skies. I ended up doing quite a good write up of my race with the Spot Messenger Adventures. The link is to the right in the sidebar. I hadn’t really decided to use a Spot until the last minute. 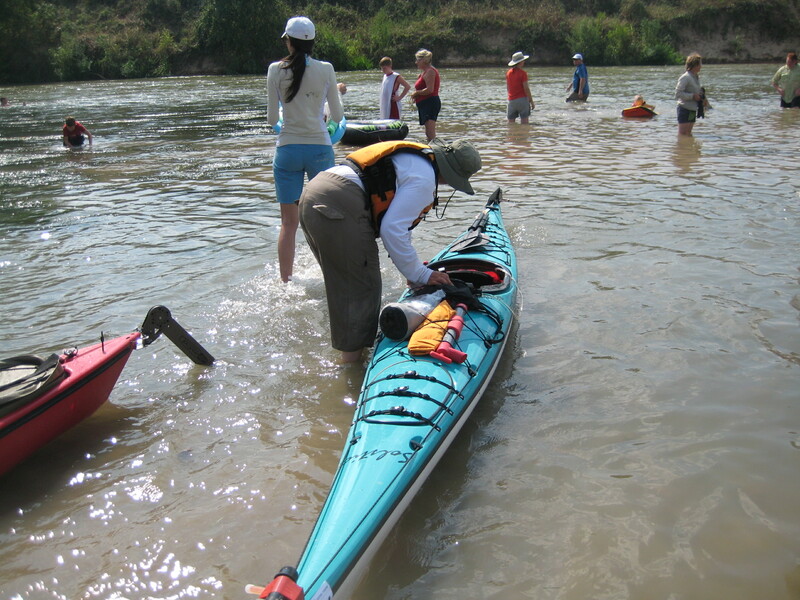 It was a good investment for my Team Captain, Kate, as she could see my exact location and progress along the river. 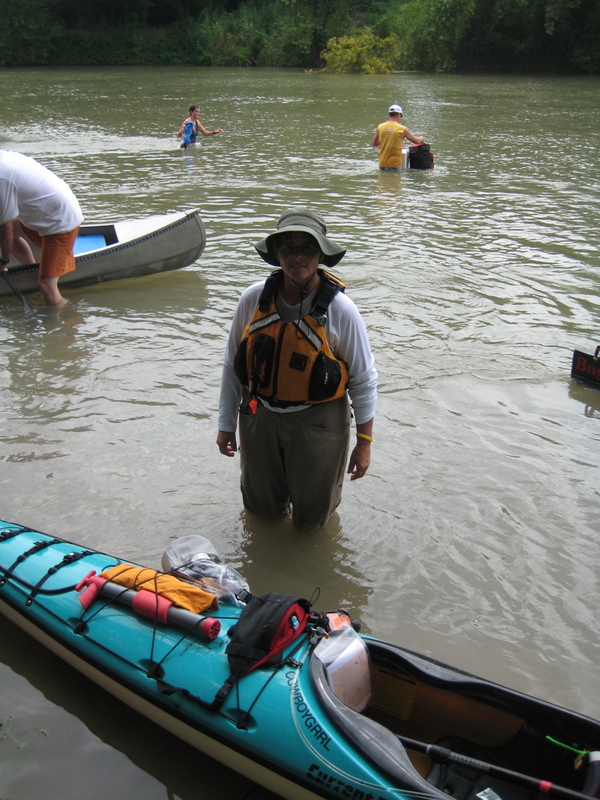 It was quite funny a 5 hour paddle for me to a checkpoint took her 15-20 minutes to drive. So she had enough time to find food and water for herself and check up on her new iPad where I was. Here’s my account of the race I posted on Spot Adventures. There’s interesting maps and some pictures there too. 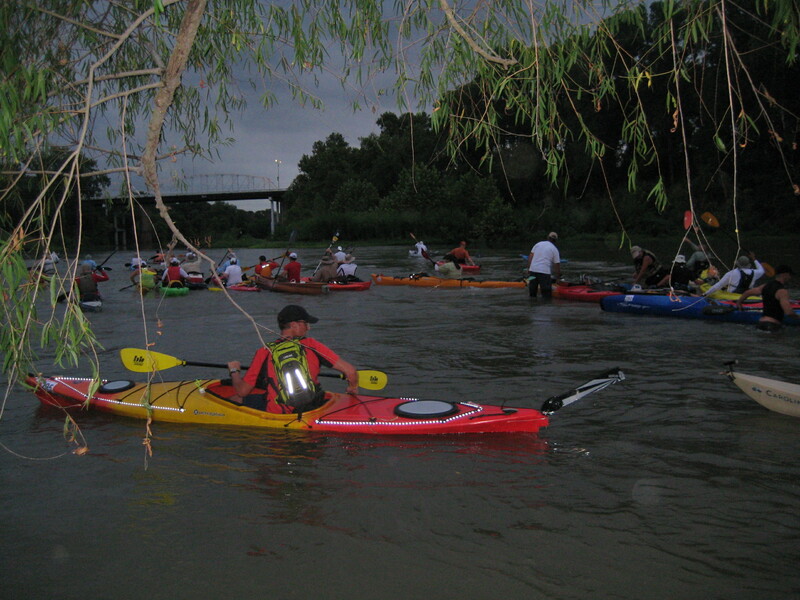 “The Colorado 100 is an ultra-marathon canoe and kayak race held Labor Day Weekend in Texas. It begins in Bastrop and 100 miles later ends in Columbus. There is a time limit of 32 hours; people do not stop and sleep, but paddle through the night. In addition, there are deadlines for each of the checkpoints throughout the race course. I trained 13 weeks specifically for the CR100. 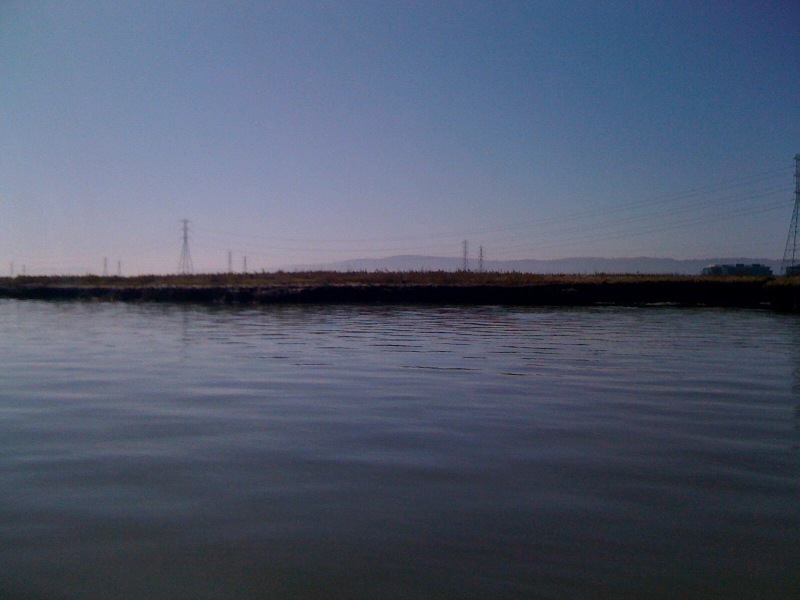 Training consisted of many miles logged in the Oakland Estuary and SF Bay. 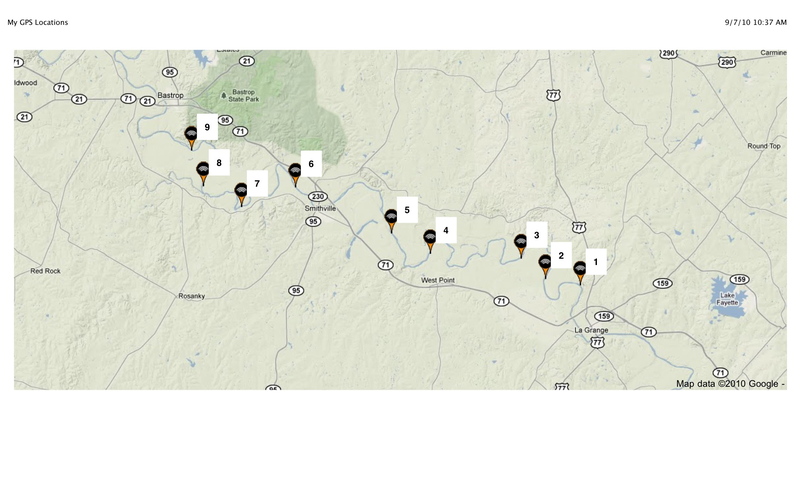 In the last month most of my miles were in the Stanislaus and San Juaquin Rivers. My longest training day prior to the race was 45 miles (done twice). I am paddling a Current Designs Solstice GTS. 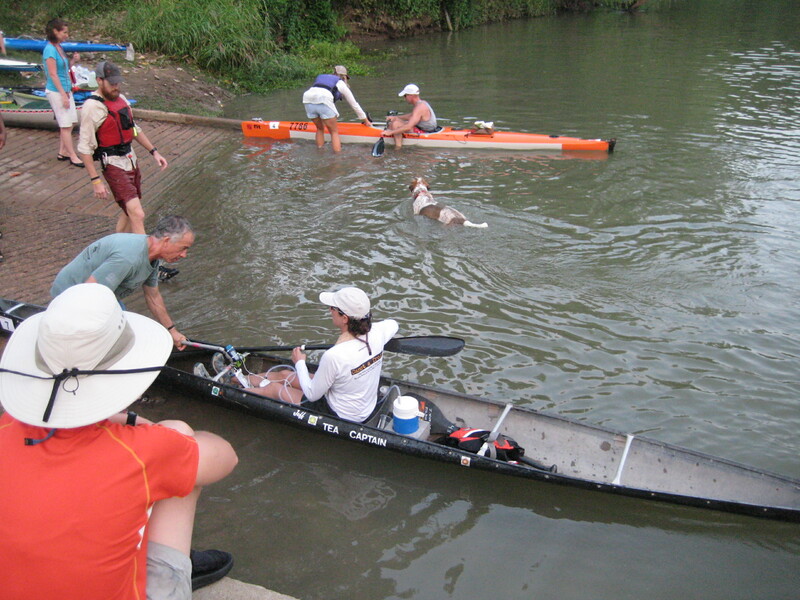 This race is open to many types of boats; both solo and tandem canoes and kayaks. Kate and I flew to TX on Thurs. before the race. It rained on Fri. and weather predictions for race day were great; it would be in the low 90’s! Friday afternoon I checked in, completed boat preparation with my Team Captain, and attended the mandatory evening meeting. Race start was 7 AM the next day. There were 2 divisions, an adventure (that’s me) and competition class, and both had a tandem and solo division. 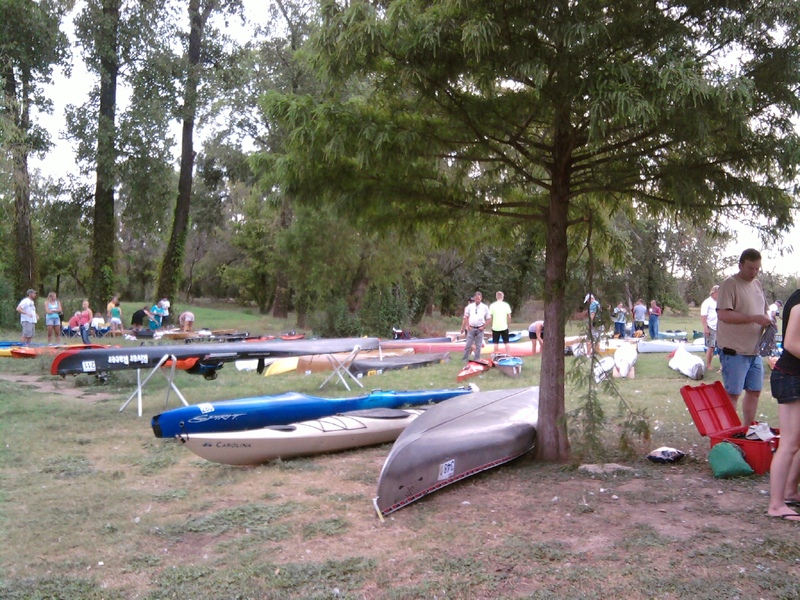 The solo adventure class started first and 100 boats started getting into the river about 6:40 AM. A bit of a challenge as you were required to either be standing by your boat or holding onto a piece of the shore if you were in your boat. There just wasn’t much real estate for 100 boats! Checkpoints were at 26, 42 and 63 miles. I was hoping to maintain at least a 5 mph average. If so, I should reach the first checkpoint in Smithville around 12:15 PM. 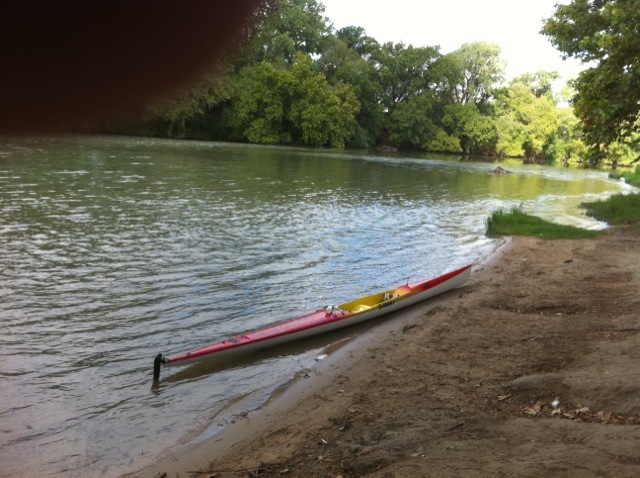 It’s amazing how fast 5 hours passes when you’re on a river you’ve never paddled before. Much of your attention is picking the fastest line of water or maybe avoiding obstructions. Then there’s making sure you hydrate enough; my cycle was taking in about 5 oz. every 15 min. and sipping liquid food every 20-30 min. Then at each hour I took electrolyte supplements and hit my “OK” button on the Spot Messenger. I had no problems with the heat. They thought there’d even be a tailwind but that never panned out. In fact, I had some good headwinds a few sections on the river. Regardless, the first leg of the race went well and I pulled into the first checkpoint at 12:05 PM. My team captain, Kate, was waiting for me. 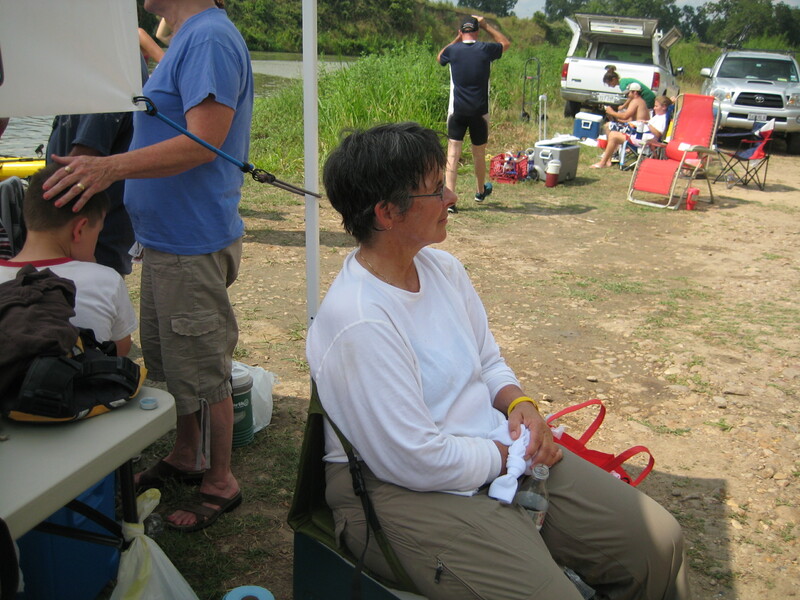 I got out of the boat turned in my timing tag (a little bar code to registers you and your time) and rested awhile with a very cold drink and an orange. I didn’t want to stay here long, so we started re-stocking water and food on the kayak, and re-applying chapstick, sunscreen, and Hydropel (keeps hands from blistering). 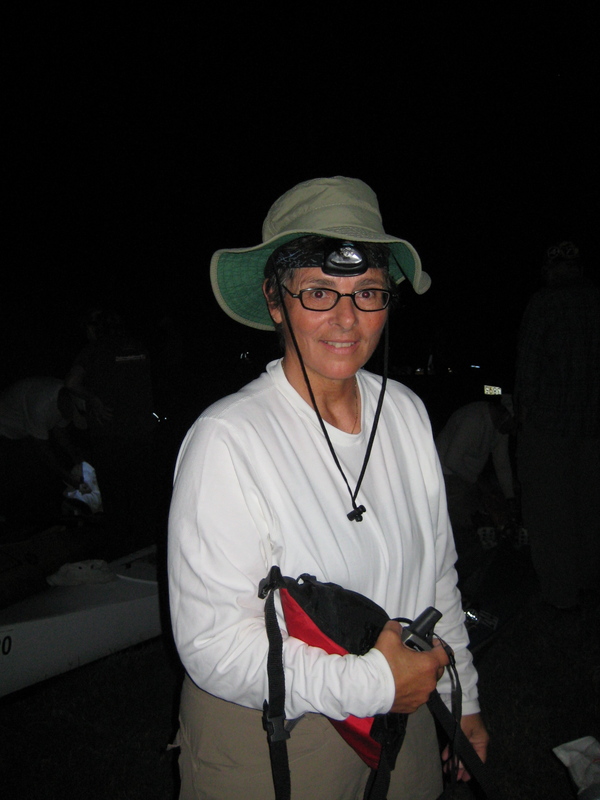 I was back on the water in 20 min., and hoping to be at the next checkpoint in 3 hrs. Psychologically, the second checkpoint seemed to be an easy task; only 16 miles, but somewhere on that leg of the river my right wrist began to ache. Sixteen miles went by pretty fast and I was at Plum Park, the second checkpoint by 3 PM, but with pretty good wrist pain. I was now worried about it getting worse. If it stayed the way it was, I might be able to complete the race with icing at the checkpoints and taking ibuprofin. As soon as I got out of the boat I got ice on my wrist, drank and ate, and decided to rest longer to help my wrist. I was making good time and would rather risk a slower time than not completing the race. I stayed at Plum Park 45 min. and wrapped my wrist for support and took off. At 4:30 PM I was allowed more ibuprofin and took 800mg. hoping that would knock out the pain, or at least, help it not to get worse. 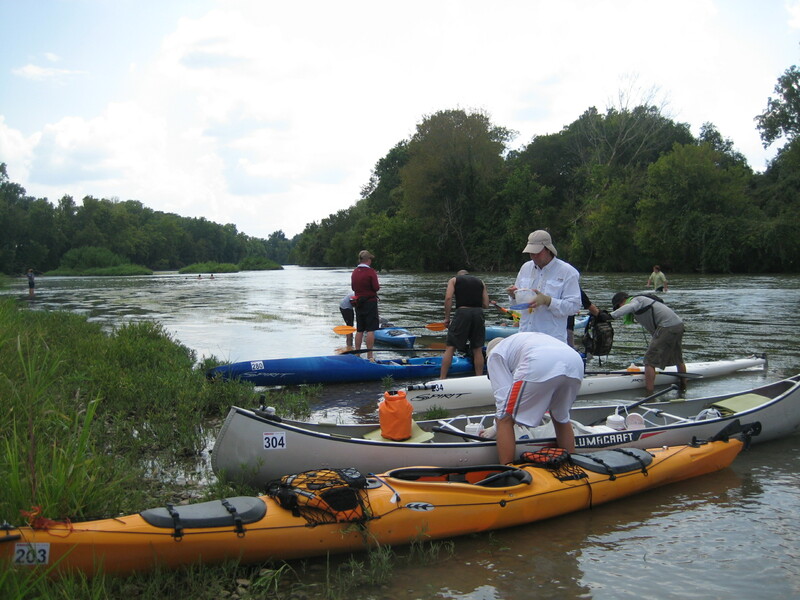 The next checkpoint, LaGrange, was 20 miles away (63 total river miles). I knew I could make it that far and it would be a good test to see how my wrist was going to behave. I should pull into LaGrange somewhere around 8 PM. I was now over half way into the race, and others racers were really starting to thin out. I passed a few and a few passed me. We mostly greeted each other, and usually found out if this was your first CR100 or whether you were a veteran. Most offered tidbits about what to expect or what to watch out for. I passed one guy, we were both first-timers and I warned him about rapids at mile 49, granite rocks, and you should pass either to the right or left side. He said, “thanks,” and I moved on. Well I paddled too far to the right and got stuck, and then the guy I warned went right passed me! The river was beautiful. I saw no other boat traffic besides racers. Most of the shore was desolate with the occassional cattle herd, and one Brahman bull who seriously checked me out at the water’s edge. Generally, I was feeling very good; I felt like my fitness was adequate to complete the race. But, my wrist was getting worse, not better. It had changed to episodes of sharp pain, and at times I was having to alter my paddling technique to get the left blade in the water. Now I was really worried. There was nothing I could do but get into LaGrange, see how my wrist felt at that time, and re-access. I made incredible time to LaGrange; I pulled in by 7:30 PM. That was 20 miles in 3-1/2 hrs. I had completed almost 2/3 of the race; 63 miles! Unfortunately, I could barely hold my paddle in my right hand. The last 3 miles had been incredibly painful and though I hadn’t made a decision to abandon at that time, I seriously didn’t think I could make the last 37 miles. But I received a really warm welcome and decided to delay my decision until I talked to my team captain. 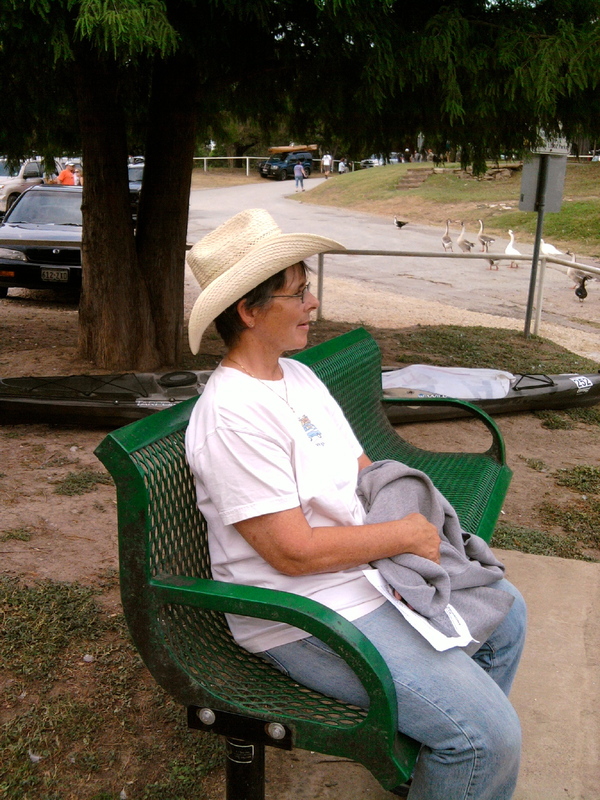 I was helped out of the boat and Kate was waiting for me at the top of the boat ramp with ice, a cold drink and food. Oh no, Wayne was there too! He had passed me while I was resting at Plum Park, and he had abandoned because he had already dumped 4 times and wasn’t optimistic about his chances the last 37 miles in the dark. After consulting friends and the race director, I sadly announced that I would not be continuing. I could have paddled longer, but I wasn’t at all sure I’d be able to go the whole way. Besides the last leg being 37 miles in the dark, it’s also the most desolate section of the river, and the most dangerous. 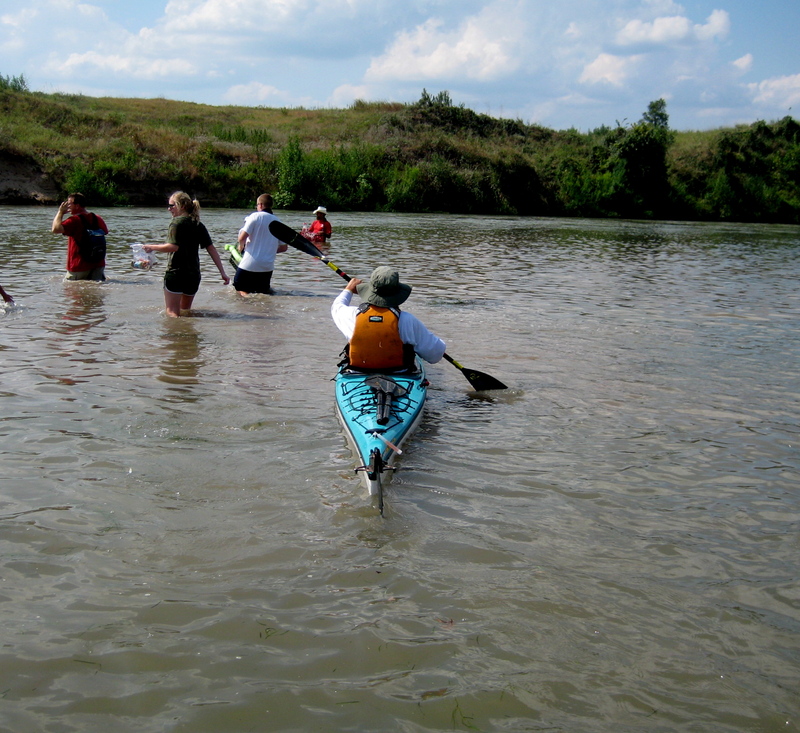 At mile 80, with a very strong current around an island there’s a few dangerous sweepers, and obstacles in the water. 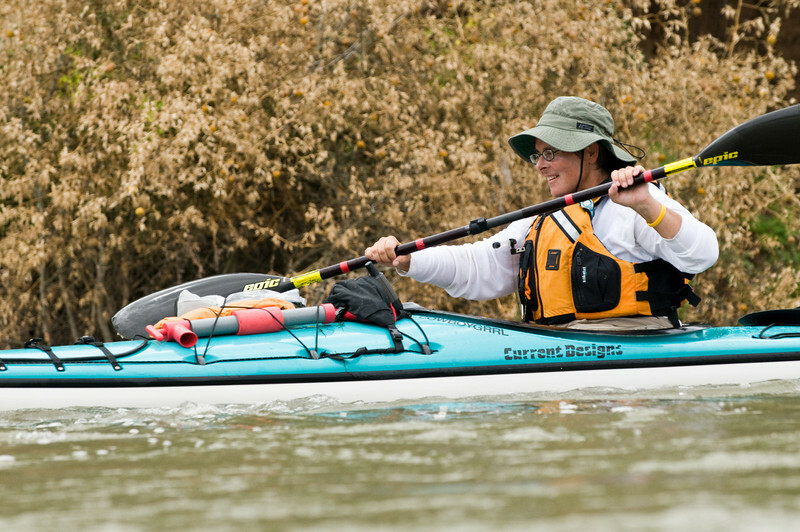 I did not feel confident about the performance of my stroke when I would most need it. If I had to abandon in this section, it would be dark (also no moon) and take at least 2 hrs. before rescue. Rescue is only bodies; they leave your boat! So, I unwrapped my wrist to apply ice and viewed a very swollen and hot forearm. I could not bend my wrist and I had no grip strength. At that point I realized I had already done some damage to my arm, and if I had continued, it could be a lot worse. Friends pulled my kayak out, unloaded all my stuff, and got it atop the car. Because I’d planned to paddle through the night (Sat.) we had no place to stay. We said goodbye to friends and Kate and I attacked the next challenge, where to spend the night. Anyways, an enlightening and fun experience overall. I vaguely remember eating some nachos after the container had blown off the roof as we departed LaGrange. We circled back and there it was in the middle of the road with the top waving in the wind. We’d only lost 5 or 6 chips! We slept in Sun. 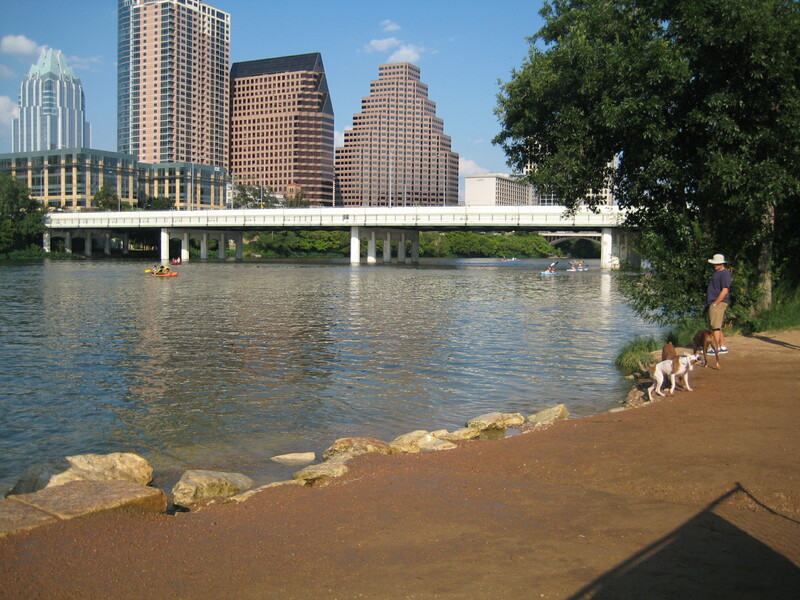 and headed for a fun-filled day in Austin, a smallish city we really liked. Maybe again next year? (pssst, I’m trying to get my Team Captain in a tandem)! The race is over and I’m back home. I’m sorry to report I did not finish the race due to injury. I made it to the last checkpoint; 63 miles. More later…………. This is my last post before the race. My boat’s already in TX, awaiting my arrival tomorrow. 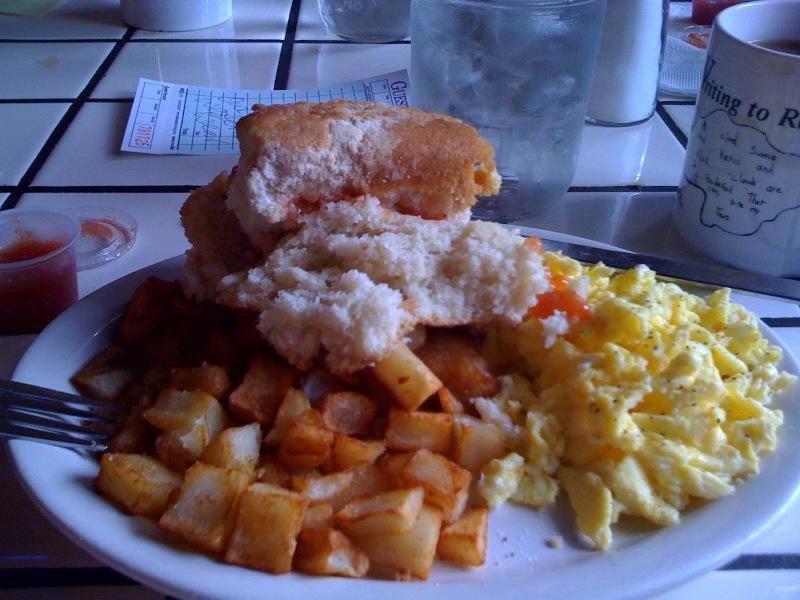 I’ll spend a day and-a-half in Bastrop before the race start at 7AM Sat. They’re staggering starts with the adventure class first and the competitor class 2 hours later. 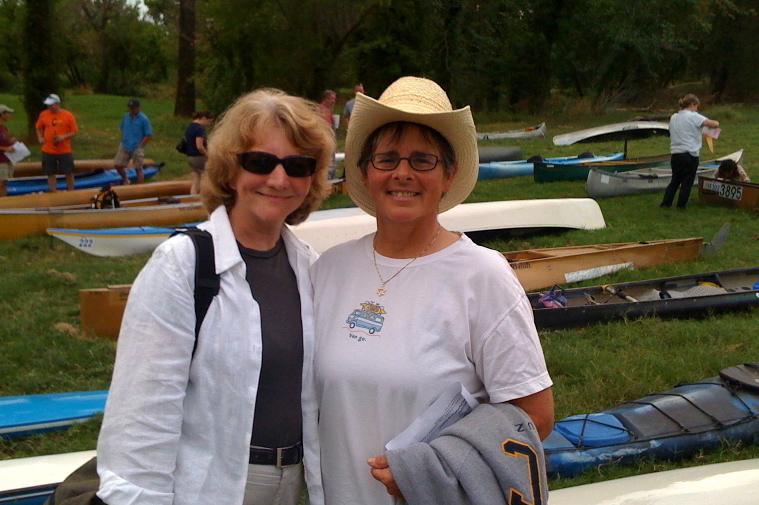 Things will start to heat up when we visit the race start Fri. afternoon to complete the final outfitting of my kayak, visit with other racers and land crew, and attend the mandatory meeting in the evening. Wayne, who drove my boat to TX sent this picture of the river today. I received a “Pre-race” email on Monday which caused my first butterflies. People are wishing me well and asking if I’m ready. I wish I could say unequivocally, “YES.” I feel like the most difficult part will be with my mind, not so much my body. I believe it’s our mind with the invisible, and unmeasurable spirit that helps us do extraordinary things. It will be my mind and spirit which keep me going when my body is screaming to stop. 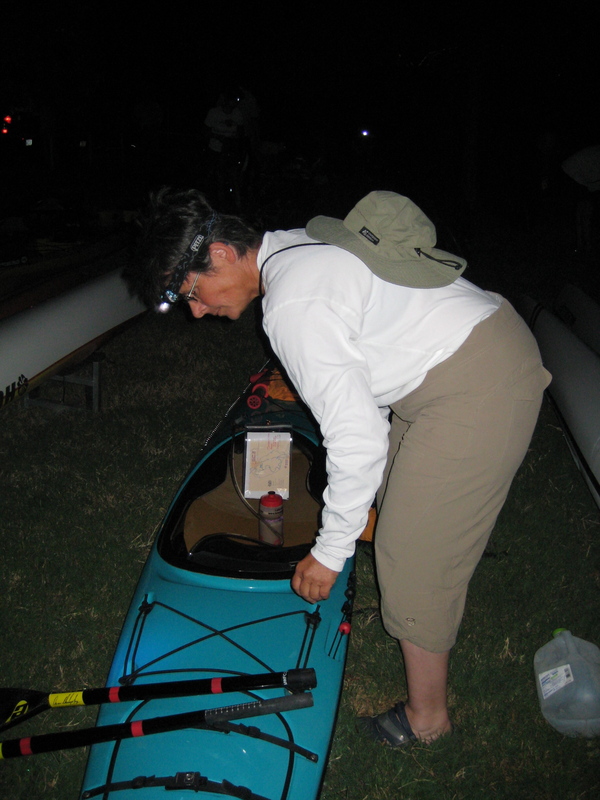 I know the body can do this; many people have paddled more than 100 miles, non-stop through the night. I dream of joining their ranks. Today my boat leaves my protection and is under the care of my friend who’s driving to TX, transporting not only his boat but two others for the CR100. 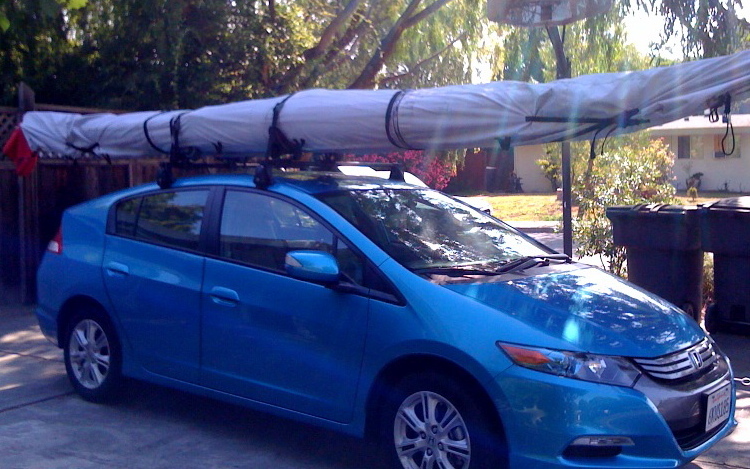 Here’s my boat, all “packaged” on my car. In a couple of hours I’ll drive all my gear and equipment for delivery to my friend’s house. He starts a long trip to Bastrop early tomorrow; the start of the race on Sept. 4. It’s going to be very strange just hanging out the next week. I begin my vacation next Tues., but don’t fly to Austin until Thurs. morning. No paddling; that’s strange. No gear to clean or organize; that’s strange. My bathroom totally uncluttered of drying gear; that’s strange. No checking for wind advisories; that’s strange. In fact, I’m wondering what I’m going to do with myself this weekend and the first 2 days of vacation since my kayak and gear is all gone? Very strange.